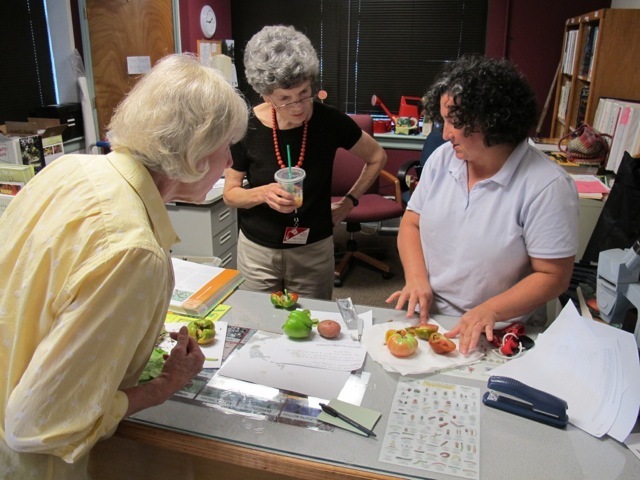 Extension Master Gardeners staff an office at 721 Foster Street to help homeowners with gardening questions. Pictured below, Master Gardeners work with Extension Horticultural Agent Michelle Wallace to diagnose tomato problems brought in by a Durham resident. The office is an interesting place to volunteer, since you never know what kinds of questions you’ll hear. Sometimes there are are easy answers, while other problems require research and collaboration. Are you interested in becoming a Extension Master Gardener Volunteer in 2015? Please plan to attend one of our information sessions to be held at 721 Foster St. Call 919-560-0525 to register for an information session. Fire Ants – Be Gone!